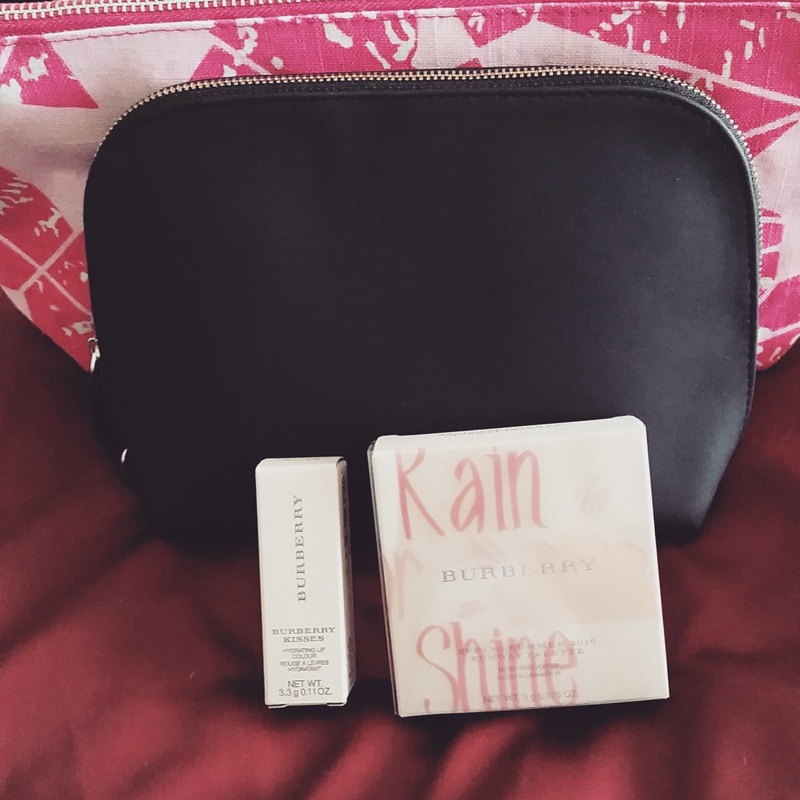 Burberry Spring 2015 and Nordstrom Beauty Trends | sakura, lovely. I’ve always been envious of the Nordstrom Beauty Events held in the US: until recently, beauty ‘events’ here in Calgary were fairly small affairs, and often only one counter at a time, and quite rare. And GWPs were only brand specific which meant you had to spend the whole minimum at one brand! I was also jealous of how interactive the Beauty Trends events seemed to be – there are few things I like more than just being able to chat up makeup with someone else as passionate about it – so of course when I was invited to the first Beauty Trends event at the YYC Nordstrom by one of my favourite MUAs, I jumped at the chance (and as you can see, my day was quite productive). Unless I have very specific plans after, usually I just let the MUA at any event I go to have free reign with my face. At the Nordstrom Beauty Event, my appointment was with the Burberry counter, and one of my all-time favourite MUAs Jay handled my appointment so I let him decide the look from (literally) the base up. The fantastic thing about the Beauty Trends event is that EVERY counter was hopping with promotions and try-outs, so while I waited for Jay I browsed and sampled a lot of other brands and got to chat with other SAs! For the look above Jay used the new Wet & Dry Silk Eye Shadows, Burberry fresh glow fluid, Burberry light glow powder blush, and the Rain or Shine beauty powder. I also got to try the new Burberry Kisses lipstick formula in Crimson Pink! I came home with my lipstick from my look, and my favourite item, the Rain or Shine powder. The print is adorable, and while the overspray isn’t permanent, the powder underneath is a smooth, medium pink. I love it! As a bonus, I got to meet one of the loveliest ladies I’ve ever met on Twitter, @NinaWMakeup. It was madness at the trends event with all the makeovers going on, but we had a quick chat! I’m still determined to get her to ‘do’ my face at some point… maybe next time! Your makeover turned out awesome!